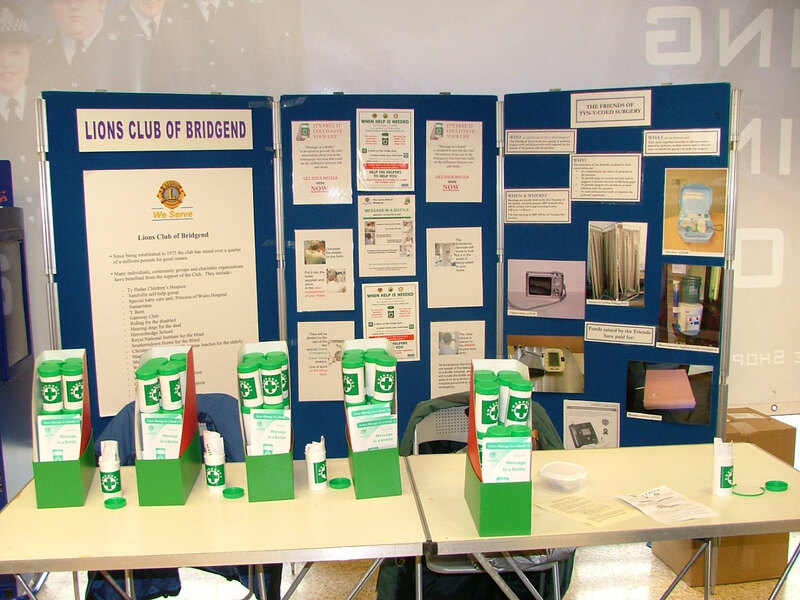 These little plastic bottles are becoming familiar locally and their use more frequent thanks to a high profile launch involving Bridgend Lions and other agencies in the borough. 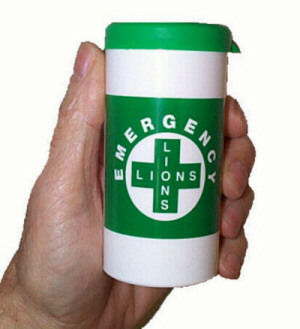 Message in a Bottle is not solely a Lions initiative, however it is an initiative that very many Lions Clubs across the country have taken to and recognise as a means of fulfilling our motto “We Serve”, often funding the scheme from their own charity accounts. No charge is made. 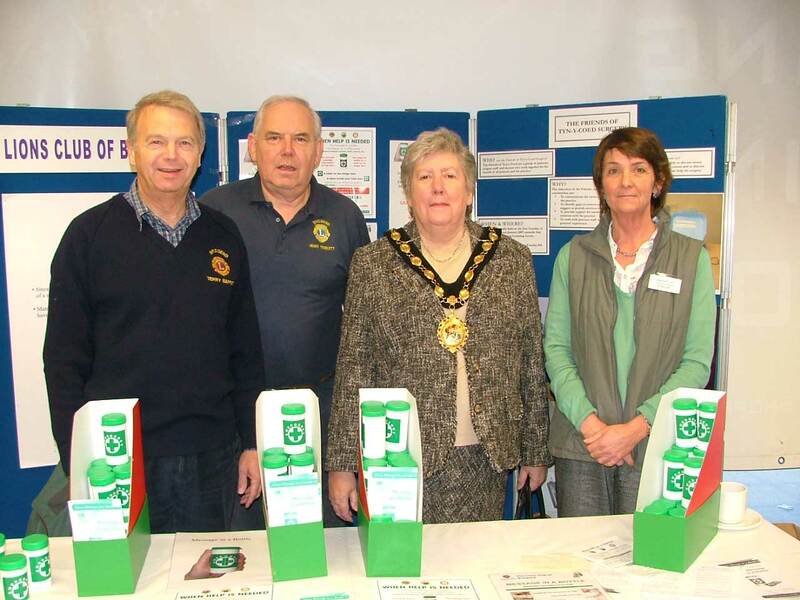 Members of the scheme place a little bottle, containing vital personal medical information, in their fridge and place a recognised green cross sign in their front window. This ensures that important medical and personal information is immediately available to emergency services if called out to a home. (Click here to see the explanatory poster - you will need Adobe Acrobat Reader to view - click here to download Adobe Acrobat Reader if you do not have it currently installed). Bridgend Lions Club is working with surgeries, pharmacies and other bodies to distribute these bottles to those who need them. The then Mayor of Bridgend County Borough, Cllr. Rosemary Deere attends the launch of Message in a Bottle.